There are many books that discuss the habits of highly successful people/businessmen/and many others. We have jumped into the bandwagon and created our own list of habits, this time for a successful digital marketer. This list does not promise a miracle nor turn you into a successful digital marketer overnight. However, if you develop these habits, for sure, you will see improvement in your digital marketing activities. In time, you will be a successful digital marketer. This may sound very simple and you might say a necessity but many business-to-business digital marketers don’t have any plans. Some are just sending emails, without a goal to target. This is sad because you will just be wasting effort and money. Along with working for the overall plan and strategize for the whole year, each activity you undertake should have a goal, plans and measurements. Marketing planning has many benefits. It will help in identifying where the competitive advantage is. You will have an organized approach. Remember that you have to have something to measure in order to improve. If you don’t have targets, you will never know if you are successful. Always think about the future. The biggest challenge in being strategic is how to balance your long terms goals with the short terms ones. The best approach is to apply the “80/20” rule. It is the 20 percent of your activities provides 80 percent of your returns. To think strategically you have to identify this 20 percent and increase your focus. This is the most important habit after having your plan. There are two important elements in data that you need: the contact database and the data you will gather from the activities. You need to segment the data that you have in order to target the right audience and have a better ROI. A digital marketer must know how to separate the data and gain insights they need and not get lost in the millions on information available. Many digital marketers are talking about having a good campaign that center on customers but in reality, they are not. When you employ a system to communicate with customers, it has to be built around the requisites of the target audience. In digital marketing, content is the key. With billions of people looking for information so, make sure that you deliver them the right and effective message. By using the most effective way in writing emails, landing pages, blogs and other web content, you can turn a casual browser to a buyer and further enhance the position of your company. Social media can be a monster as it can make or break your brand. Its use in the B2B is not smooth sailing with some companies jumping into the trend without knowing its proper use. Others are ignorant that they refuse to use it. But you can pay no heed to this platform. It can improve and grow your brand reputation. They can also be your lead generation weapon if you use it properly. The digital revolution has brought massive impact on everything it touches. A successful digital marketer must be fast in its actions and responses. They must possess the mentality of a start-up in order to keep up with the continuous changes in the digital marketplace. In this digital age, it is important to use the right tools in order to save your time and your sanity. There are tools that can help you improve traffic to your website and convert them and project management tools that can help you get organized. A successful digital marketer take advantage of different marketing systems in order to increase the magnitude of their marketing efforts. Leads are like kids, they need fostering. If you don’t take care of them, they will easily turn away. However, if you cultivate them, they blossom. It can lead to increase in your sales. The best way to nurture leads is to give compelling content and use marketing automation. Digital marketing is a fairly new industry and needs people with initiative and self-motivation. These individuals are great problem solvers. They are organized and delegate. In addition, they are also very passionate and highly enthusiastic with their art. These characteristics are the qualities of a highly successful digital marketer. You should own your function, show initiative by practicing problem solving and be creative to attain your goals. In an interview, you must be able to retrace your steps in what you have successfully done in the past. The digital revolution has required marketers to be more analytical and statistical to demonstrate ROI, which is difficult to show in the past. This data is difficult to compute. However, the digital revolution has also given birth to developments in marketing analytics. This means that every social media activity, website and email campaigns can be taken under one roof and give an insight on customer’s engagement and means of converting them. Successful digital marketers does not stop. It continues to evaluate and investigate the results of what they have done. They will do the same with slight variation. The result is a comprehensive understanding of the audience and knowing how to best get them engaged. You need with keep up on the digital pulse and always keep up to date on the industry. Read, attend training and seminars and invest in knowledge enrichment courses. You should never stop learning. You need to stay relevant and always employable. These are the few tricks you can apply in order for you to ace your job and be on top of everything. 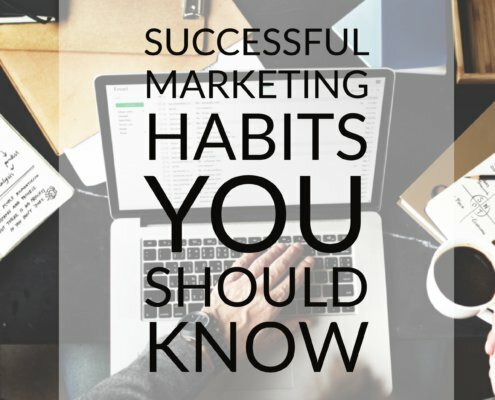 These habits are easy-to-form and will help you on your way to become a digital marketing superstar. Domain Bird welcomes all your inquiries and questions. If you are interested to know more about our services or avail of our packages, please refer to our CONTACT US. Vin and his team deliver on their promises. We have been around the block with a few SEO Companies, and been sorely disappointed and frustrated by their over promising and under delivering. Since engaging Vin and Domain Bird we have seen real results with our SEO listings, which have improved dramatically. They are experts in SEO, and are committed to getting you the best SEO results and it's refreshing to say the least! Would highly recommend. Lanee was very prompt and helped me every step of the way through the developing process and we were very happy with the end product. I had the pleasure of working with Vin and his team at Domain Bird for my SEO campaign and honestly I would not hesitate to recommend them to anyone looking to build their online presence! Vin is very dedicated to achieving success for his clients. He worked relentlessly around the clock to deliver results for my SEO and he explained everything within the process which was an added bonus! Vin is genuine, transparent and super committed! Highly recommend! !